Constructed around 1501 by Henry VII of England, Richmond Palace was occupied by royalty until 1649, when it was sold following the execution of Charles I, and subsequently demolished. As a result very little of the Palace remains, but some elements such as the original Palace Gatehouse and the Wardrobe are still visible. From Richmond Green it is possible to walk through the arch of the Palace Gatehouse, which remains along with the Wardrobe. 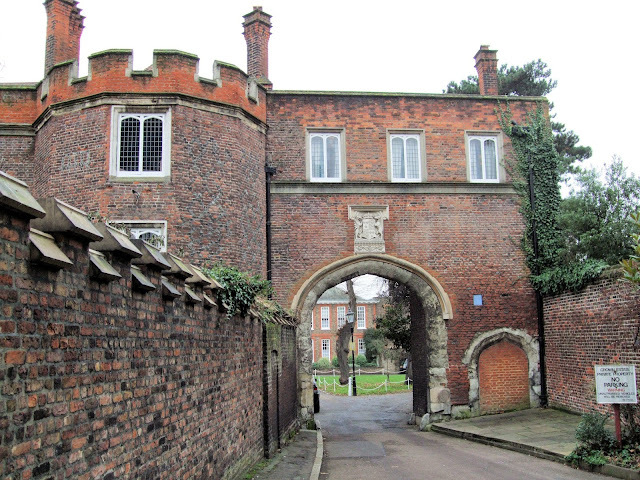 Through the Gatehouse is Old Palace Yard, a peaceful spot which is home to grand private houses including the Trumpeters House, built in the early 18th century.